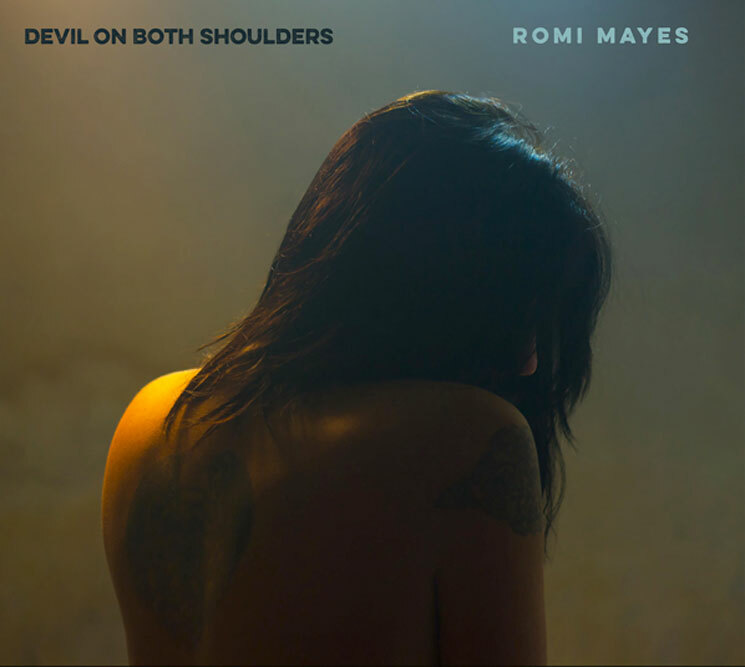 Bluesy Winnipeg songstress Romi Mayes is gearing up to unleash her latest LP Devil on Both Shoulders, and Exclaim! is streaming it right now, a week before it hits shelves. The new album marks Mayes' sixth, following up 2011's Lucky Tonight, which was recorded in front of a live audience in one take. The making of Devil on Both Shoulder was a bit of a more prolonged process, and one that saw her team up with producer Grant Siemens. "His impeccable sentimentalities really brought the groove and the flow to the album," said Mayes in a statement. "There was so much respect, trust, and commitment to the end result that we worked together flawlessly. His confidence in me as a songwriter and a singer brought out my best, and pushed me to a higher level of writing and performance." Her studio band this time around consisted of Damon Mitchell, Alexa Dirks, Bernie Thiessen and Marc Arnould, bringing a "new jolt" to her sound. Also adding to the change in sound, Mayes recently quit smoking. And while it allowed the singer greater vocal versatility and more melodic malleability, it doesn't mean she's lost her edge. There's still plenty of grit to her voice, as she proves on bluesy numbers like the titular opening track, "Bee Sting" and "Low Light," though she does showcase her softer side on songs like the catchy, twang-heavy "Soul Stealer," the groove-centric, sultry "Make Your Move" and the album's piano-driven bookend "Walk Away." Devil on Both Shoulders is officially out on May 12. You can see Mayes' upcoming live shows listed below, and scroll past the tour dates to give the new album an early listen.